In 1869, Eli and Sybil Jones of the New England Yearly Meeting met Miriam Karam, a 15-year old girl, in Ramallah – a village of about 3000 inhabitants. Miriam asked them to start a school for girls since there was no educational program for girls in her village. Miriam, who had been educated in Jerusalem offered to teach. The Quakers agreed and by 1893 eight day schools were operated with traveling teachers in Ramallah and surrounding villages. 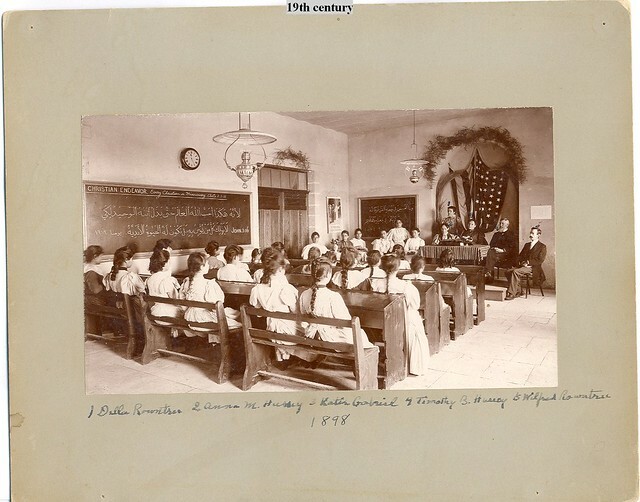 In 1889, a Girls Training Home, sponsored by the American Friends Mission Board (later known as Friends United Meeting) opened its doors to 15 students from across Palestine and from Lebanon. It was difficult to find fathers willing to allow their daughters to be educated, especially in a boarding school. The early curriculum for girls covered reading, writing, geography, grammar, history, arithmetic, Bible, physiology, hygiene, gymnastics and also practical homemaking skills. This meant home economics for girls, most of whom would marry at young ages and raise families. Most early students were Christian. Education was based on Quaker principles: non-violence, equality, integrity, simplicity, community and service. In 1901, the charges were the equivalent of $20 per year for room, board, tuition, books, laundry, and other incidental expenses. The first experiments in mixed classes began in 1902 when the Boys and Girls schools had classes together for an hour and a half per day. It was hailed as a great success! After World War I, the newly named Friends Girls School accepted some day students as well as boarders. Katie Gabriel was the first principal followed by Alice Jones in 1906. In 1901, a Boys Training School, occupying a separate nearby building, began offering instruction to boy boarding students. Elihu and Almy Chase Grant came from New England to start the school, which began in a rented house. It is reported that 80 boys applied for admission although there was room for only 15. In 1905 Timothy B. and Anna Hussey of the American Foreign Missions Board (later known as Friends United Meeting) came with funds to find and purchase the land for the Boys School campus. Permission to build was finally approved in 1909 and the Boys School permanent building was completed in 1914. Students did not occupy it until 1919 because schools were closed during World War I. During the war years, the building was occupied by the Turks and then by the British army which used it as a hospital. Folklore has it that the horses were stabled in the dining room and the horses chewed on the window and door frames. The early curriculum for boys covered reading, writing, geography, grammar, history, arithmetic, Bible, physiology, hygiene and gymnastics. It also included physics, agriculture, using tools and mechanical drawing. Elihu Grant was the first principal followed by Edward Kelsey, Khalil Totah, Moses Bailey, and John Haramy. 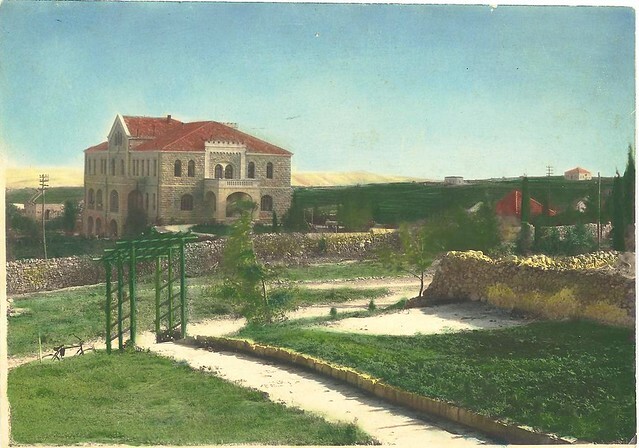 The Friends School was the first institution in Ramallah to have electric lights in 1923. Boys first took the Palestinian Matriculation examination in Jerusalem in 1926. American University in Beirut agreed that male students could be automatically accepted after graduation. Young women who graduated usually married and raised families. 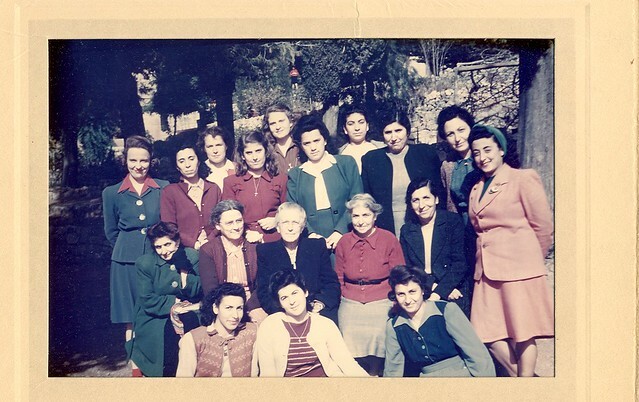 A few students went to Jerusalem Girls College or the Teacher Training College in Beirut. 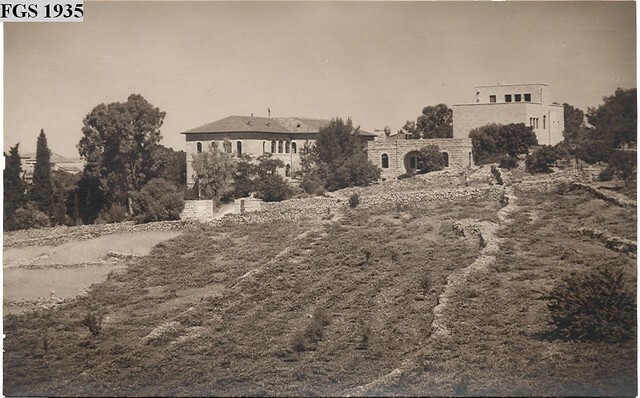 An important step in the progress of women’s education in the Near East was the opening of the Beirut College for Women under the Presbyterian Mission in 1924. This placed responsibility on the Girls School to prepare its graduates for higher education. After World War I, the Boys School students raised money to purchase chairs for the boys’ dining room. Every boy undertook to raise money for one chair while at home or by doing extra chores at school- quite apart from the regular daily chores required of all boys. Polishing shoes of guests and selling ice cream wafers at football games added a goodly sum to the chair project. In addition, government authorities provided plants as part of a major project to recreate forests, olive groves and other trees that had been destroyed during the war. Boys School students took advantage of this offer, each year planting and watering a large number of trees. By 1927 the fruit and shade trees were giving promise of a beautiful compound. Delicious figs and walnuts were among the rewards of these long hours of labor. Building at the Girls School continued and in 1925 the remainder of the third floor main building was constructed. At that time the former dormitory on the second floor was converted into an assembly room and named in honor of Sara J. Swift of New England. The home economics cottage, named for Ermina Jones Totah, was built in 1929. At the Boys School Swift House was built in 1926 in memory of Sarah Swift. The Lowell Jones library was given by Rufus Jones in 1928. Tennis courts were added in 1927. Alice Jones and Mildred White were the Girls School principals during this time. Moses Bailey, Hanna Haramy, A. Willard Jones and Khalil Totah were the Boys School principals. 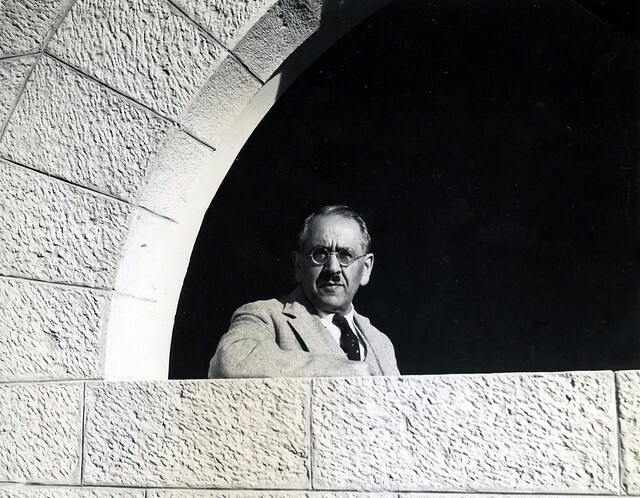 Khalil Totah was the first Palestinian to be appointed as school Principal. In 1930, the Old Students’ Association built a beautiful gate and drive for the Girls School in honor of Miss Katie Gabriel, who gave 41 years of devoted service to the school. For 18 years she was the principal and for more than 20 years she served capably as matron and house mother for the big family of girls and teachers who lived at the school. To accommodate the new kindergarten, Whittier Hall, named in honor of Alice Whittier Jones, was built in 1934. Grant House of the Boys School was built in 1933 to accommodate boarders and provide residential space for the school principal. Both Friends Girls and Friends Boys Schools were listed in the Government Year Book in 1930 as “schools of standing” in Palestine, a rank they have maintained. In 1930, the Girls School student body numbered 150, having grown from 12 students when it was founded 40 years earlier. Interest in sports was encouraged. Intramural football games for boys always ended with tea, cake and doughnuts offered to all. Every boy belonged to a group with names like Tigers, Wolves and Lions with colors to identify them. The Girls School offered both basketball and volleyball to its students. During this era, the school adopted the colors maroon and grey and a suitable emblem. In 1933, Aphrodite Karaviote, a student at the Girls School, was the winner of the school Peace Essay Contest. She was presented with a lovely gold medal by the Peace Section of the American Friends Service Committee. In 1936, when the Palestinians called for a strike against the British, the Friends Schools were regretfully closed when teachers could no longer obtain food supplies to feed the boarding students. The children missed a third of the school year, a hardship for all, especially for the seniors who faced stiff national exams in order to qualify for higher education. Girls School principals were Mildred White and Victoria Hannush. The Boys School principal was Khalil Totah. 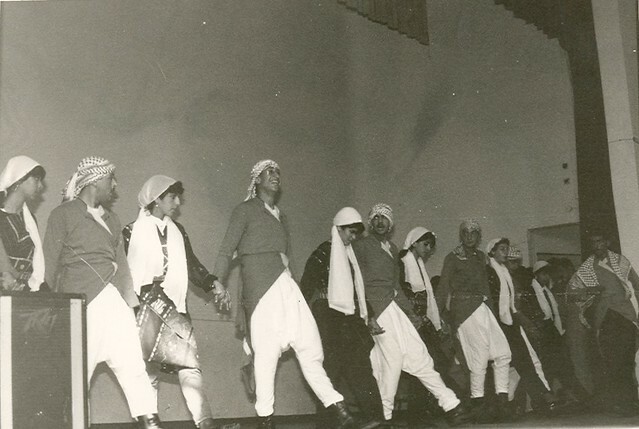 On May 2, 1942, the Friends Girls School hosted the second Annual Palestinian Children’s Music Festival. In 1942, the Friends School published “Friendly Tunes for the Near East,” by Rolla Foley, a music supervisor at the school. This collection of musical tunes, along with teacher lesson plans, was designed for English-speaking school age children across Palestine. Thousands of refugees poured into Ramallah after the Nakba, or "catastrophe". Israeli Occupation actions forced more than 800,000 Palestinians to leave their homes and communities. During, over half of the Palestinian people became refugees. The Friends School commencement that year with 47 graduates was perhaps the most moving one the schools had yet experienced. Even as the exercises were going on in the auditorium, hundreds of refugees were fleeing into Ramallah. Students and families assembled for a happy occasion could hear explosions in nearby Jerusalem. For a period, the International Red Cross occupied the Boys School buildings with the school providing accommodations and occasional hot meals to medical staff. The auditorium balcony was boarded up to store medical supplies. The main building was hastily converted to a hospital. The large dormitory and study hall were converted to wards, an operating room was set up in one classroom, a dispensary in another, and a clinic in a third. A bedroom in the principal’s residence became a maternity ward with as many as seven refugee babies born in a single day. The school station wagon was driven by the principal, providing ambulance service to the critically wounded. School numbers swelled to accommodate refugees from the coastal cities. The students’ annual White Gifts campaign at Christmas was instituted to give foodstuffs and money to needy families. There was a conscious effort to increase the school scholarship support. The school suffered financially but struggled to be a positive influence in a troubled world. Plays in English and Arabic by the students themselves, films, music concerts and poetry contests continued to be produced throughout the long years of the “troubles” in an effort to lift spirits, ease anxieties and provide hope. Boys School principals during this decade were Khalil Totah and A. Willard Jones. Girls School principals were Victoria Hannush, Sylvia Clark and Mildred White. In 1951, the Boys School celebrated its first 50 years of education. The week before the anniversary was a busy one for the whole school. Displays of class work were set up in classrooms and the library, the halls were decorated with plants and flowers, and boys were assigned to serve as hosts for parents and guests. After classes, the boys were polishing up their gymnastic and drill skills. Indoors at the Girls School students and teachers were making cakes and cookies for tea for an expected five hundred guests. At the Boys School the Golden Rule Club spent much of their free time teaching illiterate refugee boys to read. The Girls School operated both literacy training and a crafts program for older refugee women. Muslim students increased in number, eventually outnumbering the Christian students. All students studied ethics, including an understanding of the Quaker testimonies: simplicity, equality, integrity, peace, community and service. Choir was popular in the 1950s. Farid Tabri was at the Boys School almost 50 years before retiring (1919-1968). He taught Arabic and was also dean of students. He led chapel and would read from the Bible one day and from the Koran the next. He studied Arabic in Egypt with a great Muslim religious teacher, went to college in Germany where he met his wife, and spent his life dedicated to the Friends School. In 1952, five Friends School graduates, who were attending Wayne State University in Detroit, decided in a period of homesickness to start a newsletter among their Ramallah friends abroad. The first issue appeared in December, 1952 and cost about $65 to publish. This was the beginning of the American Federation of Ramallah, which today hosts an annual meeting and social activities, and provides scholarship assistance and financial support to the needy. Girls School principals during this period were Mildred White, Anna Langston and Annice Carter. Boys School principals were Robert Bassett, A. Willard Jones, Delbert Reynolds, George Scherer and Harold Smuck. During Jordanian rule, the Friends School earned a reputation throughout the Middle East as an excellent educational institution. 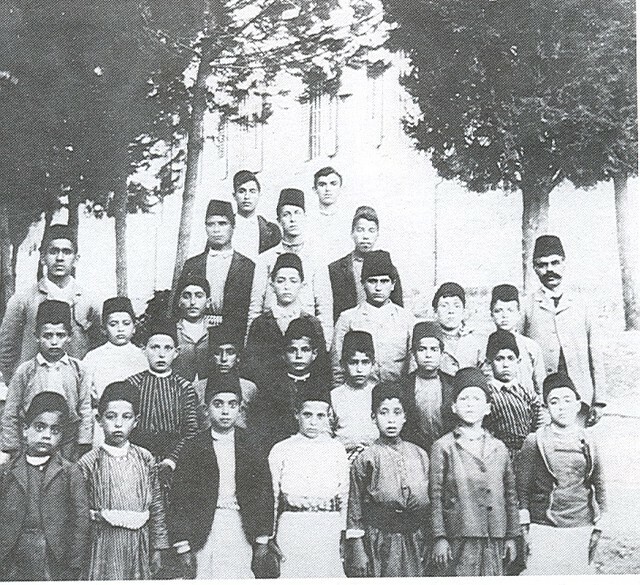 The School had a relatively peaceful life during the Jordanian period from 1948-1967. Under Jordanian government instructions, the Boys School was required to hold after school marching drill on campus. A government instructor came to campus to lead the drills. Students were given a final test. Since Friends School is a Quaker institution committed to the peace testimony, participation in military drill was an unwelcome obligation. In 1965, a Youth Club, consisting of students from both the Boys and the Girls Schools, began to meet Sunday afternoons at the Friends Meeting House. Realizing social and religious objectives in the nature of its programs, the fellowship conducted work projects and field trips. Enrollment increased at Boys School to a peak in 1966 of 320 students. Girls School enrollment in the same year numbered 233 students. A Girls School dress code forbade the wearing of stiff crinoline slips or petticoats. For campus clothing, skirts with hems above the knee were forbidden as were shorts, slacks or tight-fitting trousers. Two longtime and well-known teachers retired. Farid Tabri taught Arabic Studies and served as dean for almost 50 years. Awad Khoury was best known for his geography classes but he also taught math, history, ethics and art. The Friends School opened September 5, 1967, with considerable tension, with some political opposition, reduced enrollment and subnormal attendance. The schools ceased to be boarding schools as families feared for the safety of their children and school officials did not want the responsibility of boarders during such dangerous times. Student enrollment plummeted. Girls School principals during this time were Anna Langston, Annice Carter, Kenneth Shirk, and Margaret Paull. Boys School principals were Harold Smuck, Lloyd Brightman, Robert Bassett, Kenneth Shirk and Fuad Zaru. The English speaking sections constituted about 1/3 of total school enrollment. These were American-Palestinian students whose families would send them back to the “old country” to learn Arabic and Palestinian values and culture. Often they lived with grandparents while their parents remained in the US. End of year Field Day was always a big hit with many tournaments and gymnastic shows taking place. The swimming program was initiated. Students were taken by bus to the East Jerusalem YMCA swimming pool on a weekly basis. First municipal elections took place in 1972 and students participated actively in the campaigning. Students’ political awareness and activism became more evident with various expressions of national aspirations. During this time, classrooms became co-educational for the 11th and 12th. The Boys School took all students studying in the science track, while all art track students went to the Girls School campus for instruction. The FGS choir was very popular. Singers learned songs like “Tis a Gift to be Simple”. Ms. Sayyegh taught American square dancing. The school mission and vision emphasized the teaching of ethics, taught by young American Quaker teachers. Girls School principals during this time were Donn Hutchison (acting), Anna Langston, Shirley Tuttle and Lewis Curless. The Boys School principal was Fuad Zaru. 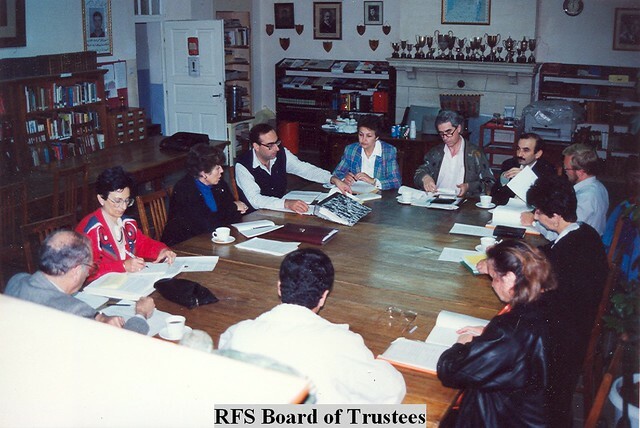 In 1985, the Friends School Board of Trustees was established. In June, 1980 in the traditional graduation ceremony of both schools joining together, there were 19 graduates from the Girls School and 28 graduates from the Boys School. The ceremony was shortened however because of the civil strife. The 1980-81 school year opened with nearly 430 students enrolled at the Girls School and 400 students at the Boys School. In 1983, the Friends Girls School Art Program produced “The Wizard of Oz” in both Ramallah and at the Jerusalem YMCA. The program also offered classes in music, calligraphy, debka, drama, painting and dance. By 1984, at the Girls School, school uniforms were to be worn at all times except during physical education classes. Blouses could be of any color. Belts were to be worn around the waist. Girls not wearing uniforms were sent home to get them. During the first Intifada, school life was politicized to a degree. Students would leave campus to participate in non-violent protest demonstrations. From 1987 to 1993, during the Palestinian uprising (Intifada), school enrollment again dropped by about 45%. Schools in Ramallah were forcibly shut down by Israeli occupation forces, and then gradually allowed to re-open for only a few hours a day. During this time, RFS sold school property across from the Boys School in order to pay teacher salaries. House arrests were common and curfews were imposed. Travel was restricted. The 1989-90 school year began in January and ended in June with only about 60 school days instead of 165 days. In response to school closure, home schooling sessions were organized as an alternative. This was one of the few effective forms of civil disobedience. 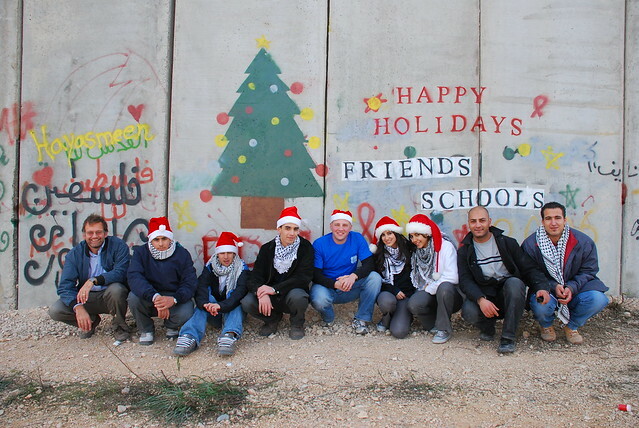 Ramallah Friends School established the Educational Network, a coalition with unions representing public and private non-governmental organizations and the UN Refugee Works Agency (UNWRA). The organization initially designed home teaching materials for use during the Intifada. Its office was located on the Friends Boys School campus. In 1980, ten young West Bank students were wounded in clashes with Israeli soldiers in one of the worst outbreaks of violence in the administered territories in years. Hania Gabi Baramki, a Friends School 10th grade student, who was demonstrating in Al-Bireh, was shot in the leg and hospitalized. In 1989, the Girls School celebrated its 100th year. The celebration was kept low profile due to the unrest and the bad political turmoil that the country was under. A centennial book that included names and group photos of all graduates of the school was published. Girls School principals during this time were Nancy Nye, Peter Kapenga, and Abla Nasir (acting). Boys School principals were Fuad Zaru, Khalil Mahshi and Fawzi Khalaf. Fuad Zaru served the schools for a period of eighteen consecutive years (1968-1986). In 1990, the Boys School and the Girls School merged and the school became completely co-educational. In 1993-94, 8th grade was moved to the Boys School. In 1997-98, 7th grade was moved to the Boys School, completing the process of turning the Girls School into a Lower School and the Boys School into an Upper School. In 1991-92 a big storm lasting for weeks hit the area. Water pipes burst, tree branches covered the school grounds, electricity and telephone wires were down. The roof of the kindergarten was damaged and began to leak. In 1993, when the famous White House handshake between Israeli Prime Minister Yitzhak Rabin and Palestinian leader Yasser Arafat occurred, Ramallah Friends School students joined other Ramallah schoolchildren in handing out olive branches to Israeli soldiers patrolling the streets. The years between 1993 and 2000 (known locally as the “Oslo Years”) brought relative prosperity to Ramallah. Many expatriates returned to establish businesses and to enroll their children in Friends School. The atmosphere was one of optimism. During 1993-96, the main Girls School building was renovated, the plaster was removed from the stones. With support from the United Nations Development Program, an addition to Whittier Building at the Girls School was built, providing much needed classroom space. The new extension was named the Shaheen Building in honor of long-time school supporter, Aziz Shaheen. During 1993-96, the system of contained classroom was adopted in grades 1-3, starting with the first grade the first year. According to this system, one teacher teaches all main subjects instead of having a different teacher for each subject. This system helped create a bond between teacher and child. In 1993-94, computer classes were introduced to 5th and 6th grades students. Art became a subject taught to all grades. In 1994, at the Boys School an improved ethics curriculum, titled “Health and the Human Spirit” was piloted. Arabic as a second language course was reviewed and revised. A wood-working course was re-introduced as part of a vocational education component. During 1995-99, the Girls School expanded by adding a third section to each grade level one grade at a time. This was done to serve the community’s request to increase student enrollment as well as to decrease class size from 33 to 28. In 1995-96, a special education program was established in the Lower School to help students with learning disabilities. 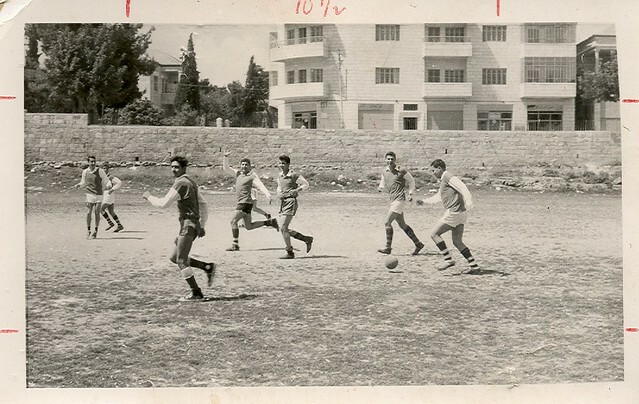 It was the first inclusive special education program in Palestine. In the mid-1990s, the school Board of Trustees decided to offer the International Baccalaureate (IB) curriculum to junior and senior students. 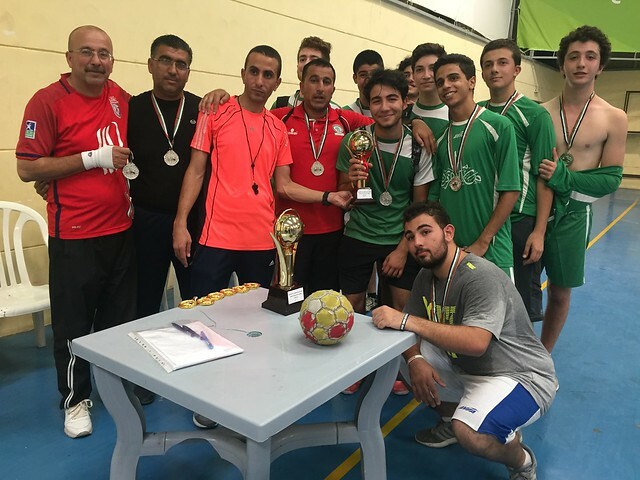 It was the first IB program in Palestine and placed the Upper School among the best in the region. The majority of junior and senior students participated in the program. In 1999 students sat for their first official IB examination. In 1998, a new uniform was introduced for both schools. Girls and boys wore the same gray pants and striped shirt, with an option of shorts and skirts at the Lower School. A new science building and four new classrooms at the Upper School were completed with support from USAID/ASHA. Central heating was added to all school buildings. During this time, Khalil Mahshi, Laurie Hadden and Jim Fine were school directors as well as FBS principals. The Girls School principal was Diana Abdel Nour. Retha McCutcheon of Friends United Meeting also played a leadership role. For several years, USAID/ASHA funds were awarded to the school. New buildings included a gym, a library, computer labs, two apartments and a classroom building. In addition, there were many renovations to existing structures and improvements made to school grounds and landscape including a new parking lot and car garage, a tennis court, pathways and stairway. The Khalil Totah Auditorium was renovated with a new stage, seating, flooring and audio-visual and HVAC systems installed. Central heating was also installed in all school buildings. New boundary walls were built around the school property including Swift House and the Sports Field. In 2009, a new Astroturf soccer field was installed. The school website www.palfriends.org was launched. Email communication with parents and school alumni became a common practice and several Facebook pages were created to facilitate discussion and social interaction amongst graduates. Electronic fundraising appeals were also created. A student financial aid fund was established serving between 15% - 23% of the student body. In September, 2001 the Israeli army carried out an air strike on Ramallah, demolishing the police station then located adjacent to the Upper School campus. Several classrooms were damaged but fortunately no one was injured. During the Second Intifada, students often suffered from anxiety, nightmares and post-traumatic stress disorder, because of Israeli incursions and aggression. When school was open, anxious RFS teachers taught the standard lessons but they also offered daily counseling to troubled students. Upper School enrollment in 2000 was 433 students: 159 (37%) girls and 274 (63%) boys. Total school enrollment was 976 students. As living conditions became intolerable, enrollment dropped again as families moved abroad. Some teachers also left the county because of the political turmoil. In spite of lost tuition revenue and a reduced budget, the school continued to pay full teacher salaries even though schools were often closed. The Educational Network again coordinated home schooling. This time, though, students had the added benefit of internet technology and email to assist them in their home-schooling. In 2001, funding was received for an environmental/botanical garden. It became the site of educational field trips from other schools whose students also learned about environmental principles and techniques. The Garden which is open to the public was called the Kaykab Garden. In 2006, the school celebrated its centennial graduation. Alumni each representing a decade participated in a ‘passing of the torch’ ceremony. The flame was passed from our alumni on the stage to The Class of 2006, beginning the Ramallah Friends School second century. In 2007, “In Fair Palestine” – the Friends School film version of “Romeo and Juliet” was produced by 36 students in grade 12. The students tried in this movie to deliver a message to the world that the Palestinian people love life, despite all the crimes of the Occupation. The premier showing was attended by over 1000 people. In 2008-2009, Upper School enrollment was 520 students, the highest ever. The Boys School continued its scholarship exchange program with George School (PA), Westtown School (PA), Sidwell Friends School (DC), and Penn Charter School (PA). Each year one RFS student is selected to spend an academic year at each of these very reputable Quaker schools in the US. The School Dabke group – Al-Awda – continued to impress audiences in Palestine and sometimes by travelling abroad. The Friends United Meeting annual summer work camp continued to take place on the school grounds with the leadership of Max and Jane Carter of North Carolina. College Counseling became a full-time position and students’ matriculation records reached unprecedented levels with Harvard, Yale, MIT, and Swarthmore often accepting more than one student annually and with full scholarships. 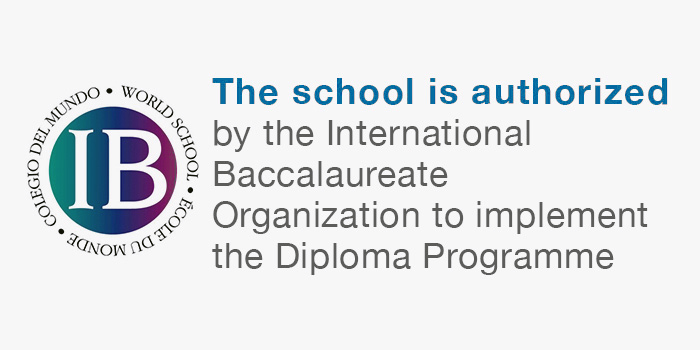 The development of the International Baccalaureate (IB) Diploma program was instrumental in achieving such result. Earlham and Guilford Colleges remained faithful to their long standing ‘agreement’ to provide substantial annual financial assistance to our students. IB curricula included topics such as Theory of Knowledge, Economics, Information Technology for the Global Society, Business and Management and Islamic History. Ethics classes were developed to include the topics of Conflict Resolution and Quakerism. 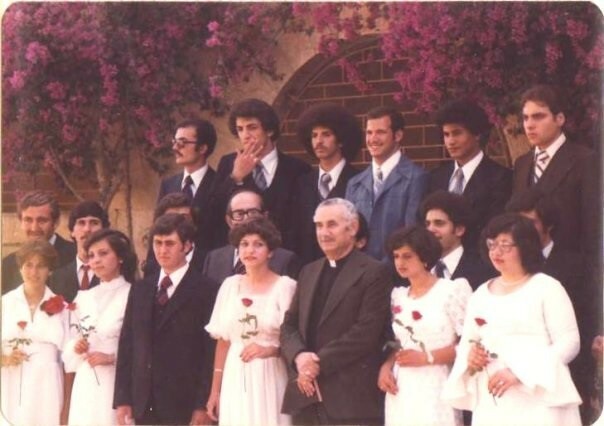 During this time, the Upper School principal was Mahmoud Amra (class of 1979). In 2000, the position of School Director was created by Friends United Meeting to unilaterally manage the Upper and the Lower School. The first such Director, Colin South, a Quaker and member of the British Yearly Meeting, served the school from 2001-2004. In 2004, Joyce Ajlouny, a Palestinian Quaker and member of the Ramallah Friends Meeting, assumed the responsibility of School Director. She is also a Friends School graduate from the Class of 1983. In 2017, the title of the "School Director" was changed by the FUM to "Head of School" with the appointment of Adrian Moody as Head of School at the school in August 2017. Adrian brings with him over 30 years of academic experience to RFS. He is the former Head of several international schools and has extensive training in IB education. The demand from the community for enrolment was very high with applications for the Lower Kindergarten reaching double the available capacity. A vibrant after-school activity program was very popular among students with the school offering a choice of over ten activities ranging from sports, art, pottery, computer literacy, music, drama and karate. The end-of-year Open Day celebration was a big hit with students showcasing their accomplishments in sport, music and art. The White Gifts program continued to raise funds for needy families by organizing student bake sales. Community service programs provided the opportunity for students to visit community institutions such as homes of the elderly, hospitals and a school for the physically challenged. 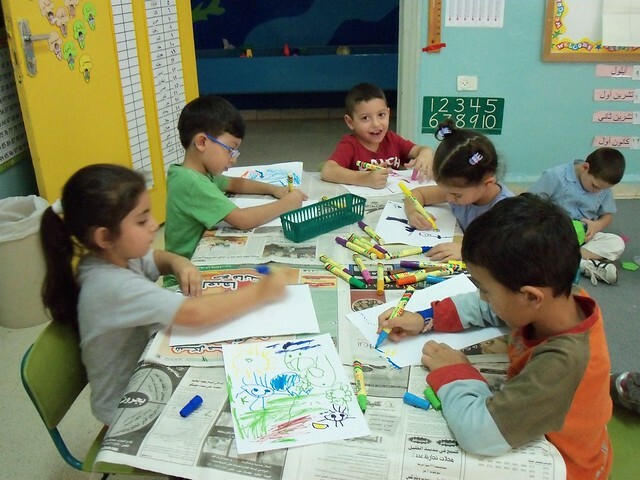 Starting at the Lower School and naturally moving to the Upper School, RFS’s program for special needs became a resource for the entire community including the government and UNRWA schools. It provided over forty students with varying abilities an opportunity to be mainstreamed into the regular classrooms and created a culture of tolerance amongst the students. By late 2009, program staff included 6 full-time and 3 part-time staff on both campuses. In 2007, the Lower School implemented a Problem Solving curriculum. Educational topics included non-violent communication, conflict resolution, parenting skills, setting limits, curbing violence and more. In 2007- 2008, Lower School enrollment was 639 students. 44% were female. Many school applicants were turned away for lack of space. A fundraising event in Dubai was organized by our alumni and generated seed money to start a new kindergarten building. Further funds were received from the Arab Fund for Economic Development and building started to include a Lower KG, an Upper KG and a new assembly hall. During this time, the Lower School principal was Diana Adel Nour. In June 2018 the International Baccalaureate Organization (IBO) approved RFS for authorization to offer the Primary Years Programme (Grades LKG-5th), making RFS one of the few IB World Schools in the region that offers three programs of the IBO. With the assistance of USAID/ASHA funds that were awarded to the school, the Upper School campus saw major improvements with the construction of the Middle School Building which includes a library/multimedia center and a student gallery. Through this building RFS introduced "De-Vinci Studios" and classrooms as "Learning Communities", bringing innovation into the Palestinian Education sector. Learning Communities with open spaces and glass walls, affirm our commitment to collaborative, interdisciplinary and student centered-learning. While De Vinci Studios, one on each floor of the Middle School Building, are project-based learning spaces where art and science merge to enhance the creative work of students. The building is also a green and environment friendly building. Some of RFS’ current and future environment-friendly plans include installation of photovoltaic cells on the roofs of the buildings and parking spaces to generate electricity, as well as the creation of two outdoor learning spaces on the Upper campus. RFS' ENVIRONMENTAL AWARENESS PROGRAM started inside our KG- classrooms years ago, using the motto “Reduce-Reuse-Recycle” and from there it spread to the whole school as well as other local schools. This program was developed and piloted in our school and, after its initial success, teachers from other area schools were trained as well. The Ramallah Municipality later widened the program to become an annual event where the school healthiest and friendliest to the environment is granted “The Green School Award”. RFS Lower School has won this award twice, with the latest for the academic year of 2016/2017. In Winter 2017, RFS' Lower School was awarded the newly established "Sustainability Award" by the Ramallah Municipality for the school's continued efforts as a healthy campus that is friendly to the environment. The Sustainability Award is given only to the few schools who have been awarded the Green School Award more than once. In 2016, RFS initiated a school wide project to add photovoltaic cells on roofs of facilities. Beginning with the Middle School Building, the project was set to start with a few roofs in the aim to generate electricity to serve the energy needs of each building. Currently, Adrian Moody is RFS Head of School while Frieda Dahdah-Khayat is Lower School Principal and Riyam Kafri-Abu Laban is Upper School Principal.